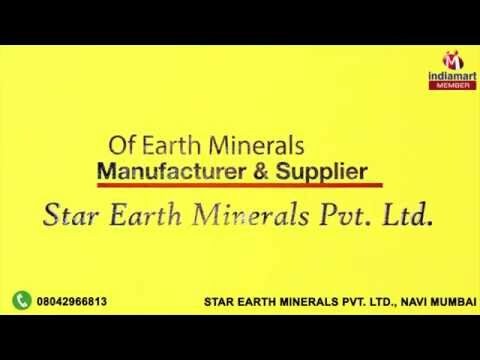 Welcome to Star Earth Minerals Private Limited, established in the year 2004, we are one of the leading manufacturers, traders and suppliers of the finest and the most diverse range of Earth Minerals. The range made available by us in the market is made up of the finest Ammonium Zirconium Carbonate, Ceric Ammonium Nitrate and Ceric Ammonium Sulphate. Owing to the finest ingredients used in its making, the offered range is known to have an impeccable effectiveness, longer shelf life and a perfect pH level. In addition to this, the range is known to be marked at the most reasonable rate possible. The state-of-the-art infrastructural facility at Star Earth Minerals Private Limited has been equipped with all the necessary machinery and equipment necessary for the attainment of a number of the firms predefined goals and objectives. In addition to this, our ethical work practices have helped us generate a huge client base.